Outstanding location in Marble Cliff with Grandview Schools minutes to 5th with abundance of shopping and dining. 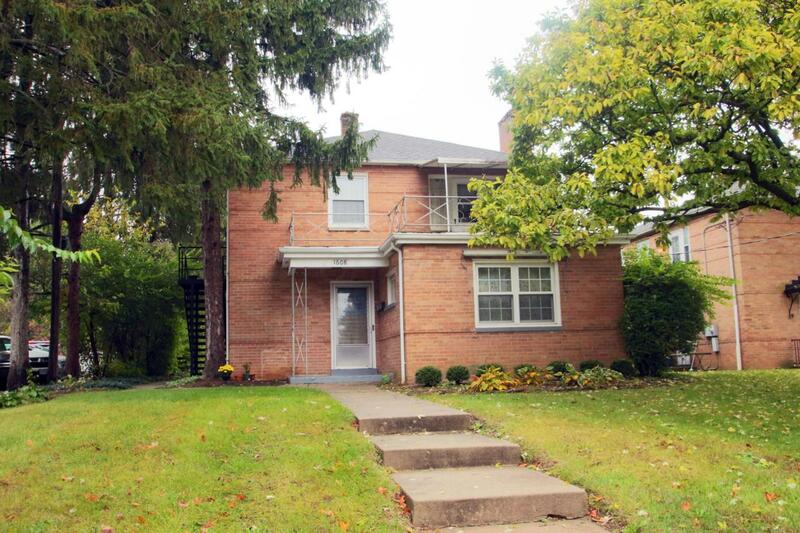 This charming, 2-story, brick duplex in could be great for an owner-occupant or investor! . Each unit 2 bedrooms with 1 bath. Nestled on huge yard with hard to find 3 car garage. First floor remodeled 1993 with new windows but clean, neat and just painted for new owner/ tenant/ 2nd floor unit remodeled 2006 with new windows. Exposed hardwood floors on 2nd floor/ hardwood floors under carpet on 1st floor. House and garage roof replaced approx 2004. Chimney repointed 2017. One of the AC condenser replaced 2012. Hot water tank replaced 2015. Long term tenant on 2nd floor 800.00/mo / month to month. ( under value) Tenant rights. First floor pictures depicted. 2nd floor occupied.